Four weeks down! I’m surprised it hasn’t become that difficult yet to find something to wear in the morning (or in the evening, as that’s usually when I choose my outfit for the following day), but I have to say I have no idea what I’ll be wearing next, especially hat-wise! Oh, and I CAN’T STAND taking my picture every day anymore! May 20 was another holiday (there are so many holidays in May! ), so I didn’t have to go out and brave the rain even for a second. 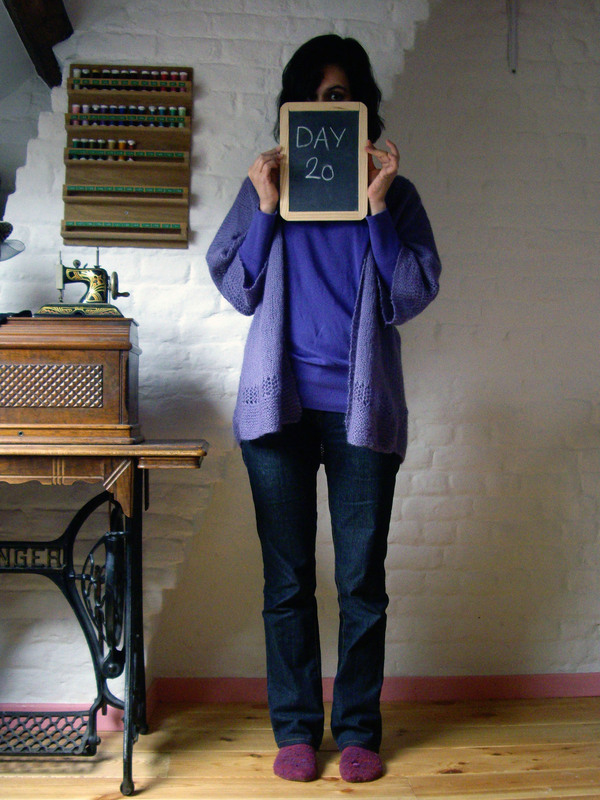 I chose to wear my twenties cardigan (already worn on Day 11) with my sad and only pair of jeans (which I didn’t make – I only shortened them). I know they don’t look awful in the picture, but the fit is actually very bad: they fit ok at the legs and hips, but they gape like crazy at the waist, so every time I bend over I have to tug them up afterwards, and I also can’t wear anything that doesn’t hide the waistband. That’s always the case with store-bought trousers, which is why sewing myself a pair is on my list (but fitting pants looks so hard!). So, this was definitely not the prettiest outfit, but it was comfortable for staying at home. 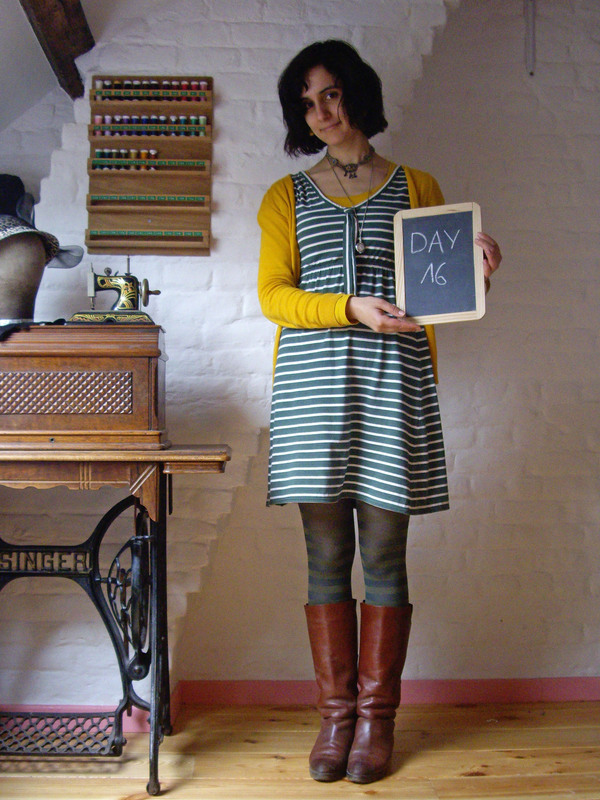 I wore a me-made skirt and cardigan, to stay at home during the day, then to go to shoe making class. 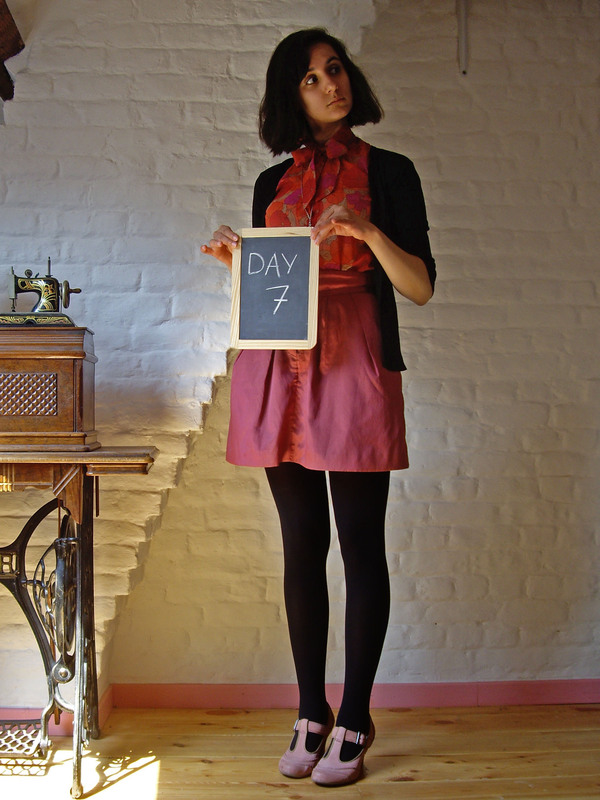 I had already worn the skirt on Day 2 (wow, I only wore it once? I was so sure I would be wearing it much more often! ), but I hadn’t worn this cardigan yet. Like ever. Even after making it smaller, it is still a bit looser than what I had in mind, and I also didn’t really know how to match its loud colour (which I love, but it doesn’t pair well with a lot of other colours). I decided to try and wear it at least once, thinking seeing it on an outfit picture would also help me figure out whether I should keep it or donate it. Aaaand… I’m keeping it! It’s just a touch too big, and I’m sure I’m the only one to see it , and I love it’s colour too much to get rid of it. Hahaha, look at my face! That’s the face of someone who didn’t eat in more than seven hours because she decided to run a few errands on the way home instead of going home directly to have lunch and then running those errands! 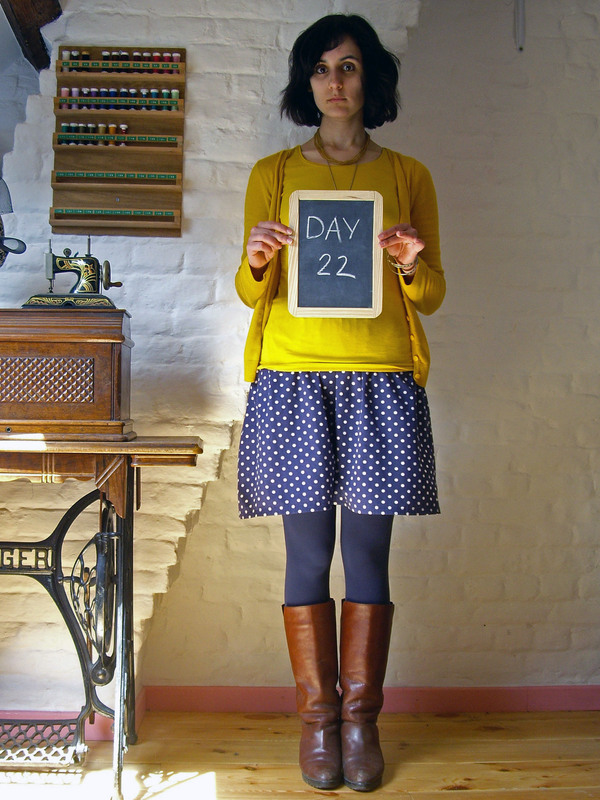 On Day 22 I wore the same me-made skirt as on Day 10. It was quite comfortable despite its lack of a lining, and I love the white polka dots on a blue background with the golden yellow of the T-shirt and cardigan. The skirt, cardigan and hat are me-made. The skirt I wore on Day 3 and Day 12, but it was my first time (this month) wearing the cardigan. I think they pair so well together, and I also thought the hat went nicely with the outfit. 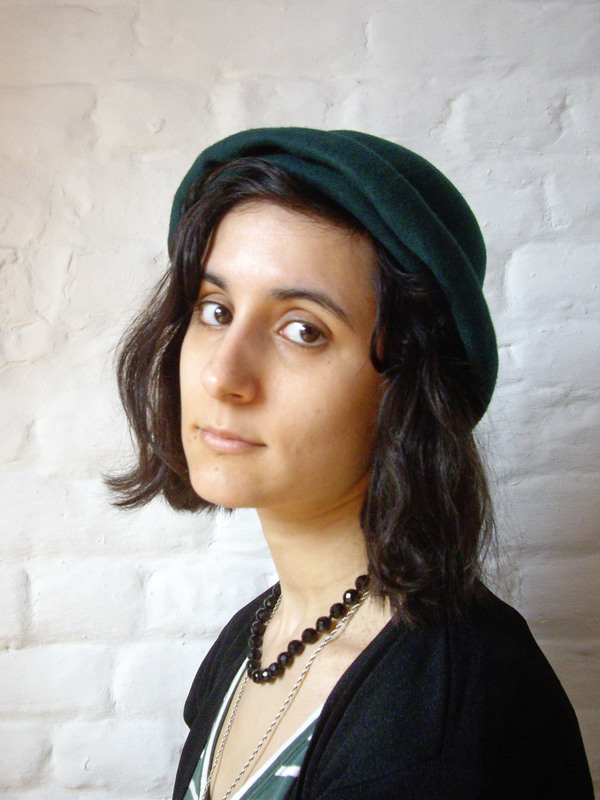 But I also thought this particular hat made more sense with the rest of the outfit, so I snapped a picture before going out (and this reminds me: I wore my me-made jacket and shawl every day of the week, and the bag some days, too). 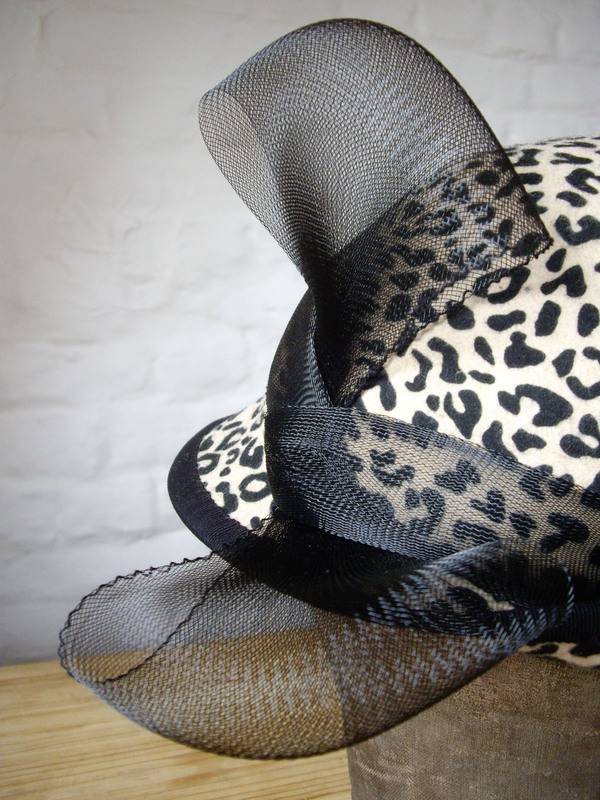 On that day I met with some friends who I was sure were going to tease me about wearing a leopard-printed hat with a big bow, and I was pleasantly surprised when they actually complimented me on it instead. Oh, and the vintage umbrella was found in the dumpster by my mother: I fixed it and it’s almost as good as new! It only took me 24 days to go out in jeans, I really don’t wear trousers often! But I felt really comfortable in this outfit. The sweater is me-made; I knit it two years ago. It was the first garment I successfully knit, so it has a few imperfections, but I LOVE it and you wouldn’t believe how many compliments it gets every time I wear it. It’s this Phildar pattern from 2011. 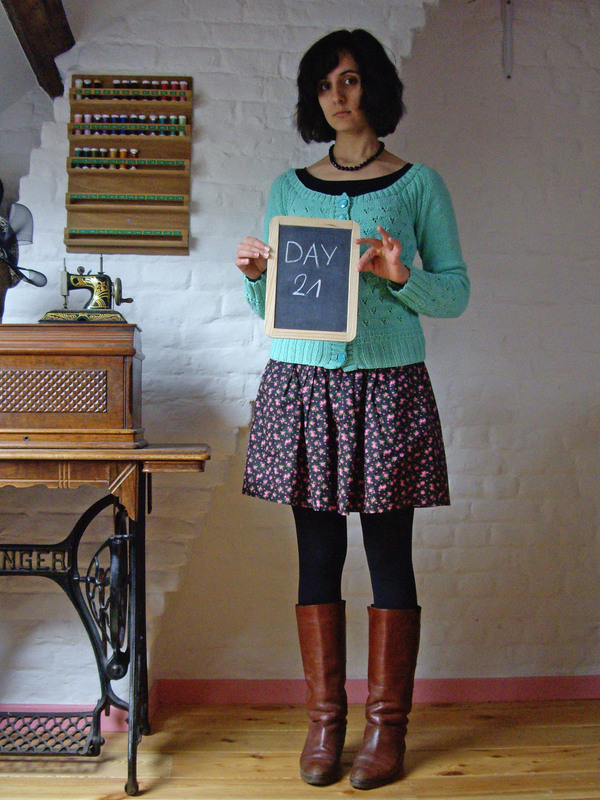 The cardigan is me-made, of course (see Day 21), as is the skirt (also worn on Day 17 and Day 19), which I have trouble not wearing every day as it is so versatile! It’s not as flattering with a cardigan that covers the waist, so I decided to belt said cardigan in order to still highlight the waist a little bit. Not my favourite outfit, but I think it looked ok anyway. A touch overdressed to go to brunch at a friend’s place, then to a yard-sale, but I loved this outfit. You’ve already seen the dress on Day 1 and Day 15, and the cardigan on Day 11 and Day 20, and to me they are a match made in heaven! I can’t believe it’s already been 26 days! Only five more days to go! I guess everyone knows the rules, so I won’t bore you with them! 1. Tassadit is actually my middle name. 2. I have quite the multicultural family: my father is Belgian, my mother is Algerian, my stepmother is Sudanese and my boyfriend is half Spanish. 4. I used to have two piercings: one on the nose (so nineties!) for fifteen years and one under the lip for ten years, but I removed them both about a year ago. 5. I’m allergic, but I don’t know to what. All I know is if I don’t take my meds daily, I sneeze and I have a runny nose, watery eyes and scratchy skin all day. Oh, and sometimes scratchy throat, palate, and ears. That’s all year long. Ok, I really should get tested! 7. Clowns give me the creeps. As do people wearing animal mascot costumes. You’ll never see me in a theme park, that’s for sure! 8. I also have the biggest fear of flying, but I’m working on that one. 9. I hate movies that end badly. 10. I’m unbeatable at Taboo or Pictionary, when I’m on the guessing end anyway. 11. I’m a spelling snob. 1. How long have you been stitching? I bought a sewing machine in 2007 I think, with my first paycheck! But I didn’t really dare touching it before a few months (a year ?) after that, too scary! 2. Where did you learn to sew? 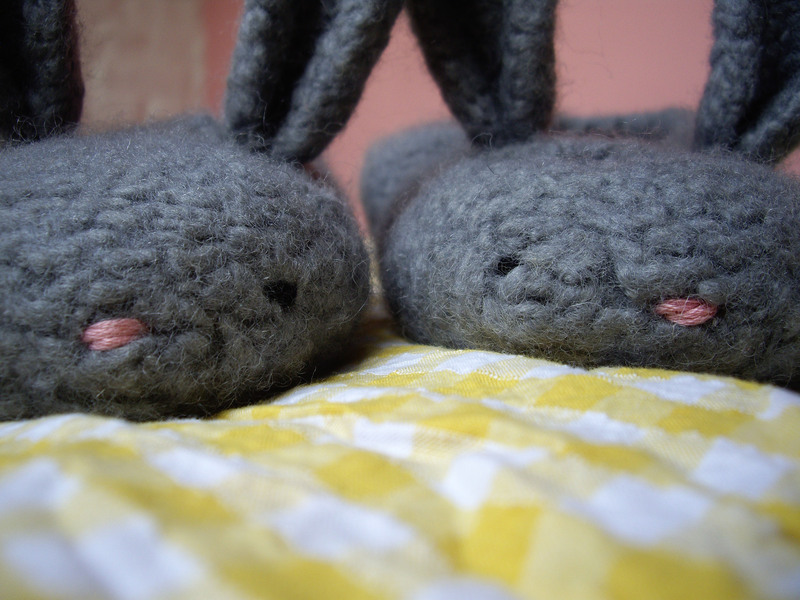 I learnt to sew at home, with the help of books and the internet. 3. Why do you sew? Because I love creating in general and I love clothes, so it’s a nice way to combine the two. Plus it’s so nice getting to wear what I made! 4. Which blogger has had the biggest impact on you? Tasia of Sewaholic, she really taught me a lot with her tutorials and sew-alongs. 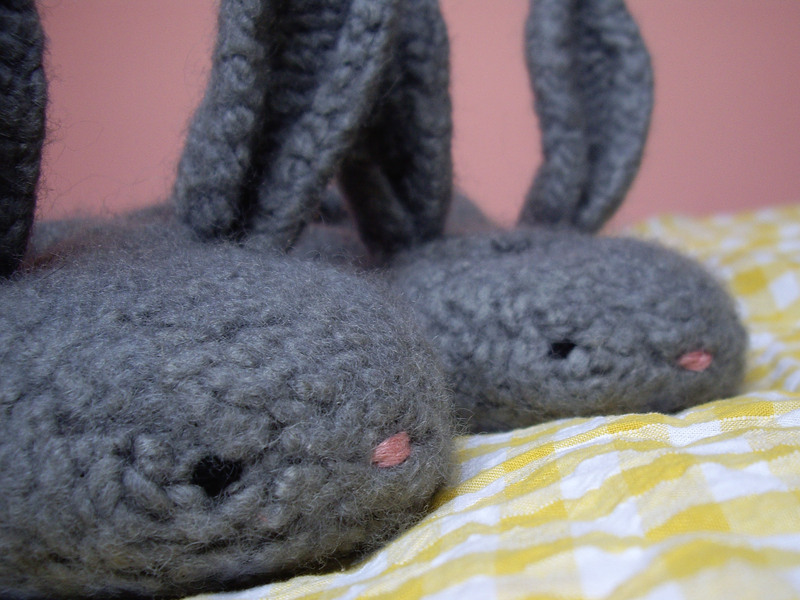 And quite a few of my favourite and most-worn garments are made from her pattern line! 5. What is the thing you have made you are most proud of? I’d have to go with my Minoru jacket. Though it’s not perfect, I’ve been wearing it every single day since I made it last October, which means every time someone who learnt I sewed asked me if I had made something I was wearing, I could show them the jacket, and they couldn’t believe their eyes! 6. 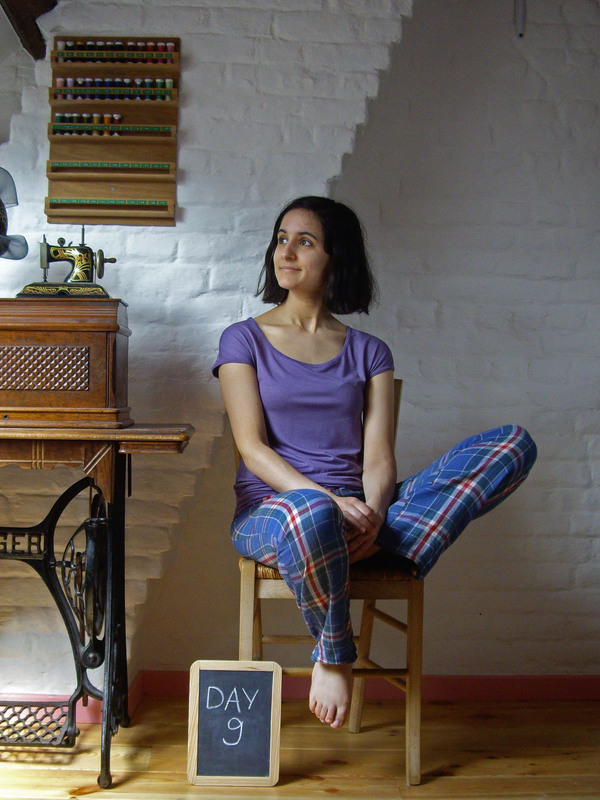 How do you balance the rest of your life with sewing? I’m lucky to only work three quarters time, so I still have a lot of free time. 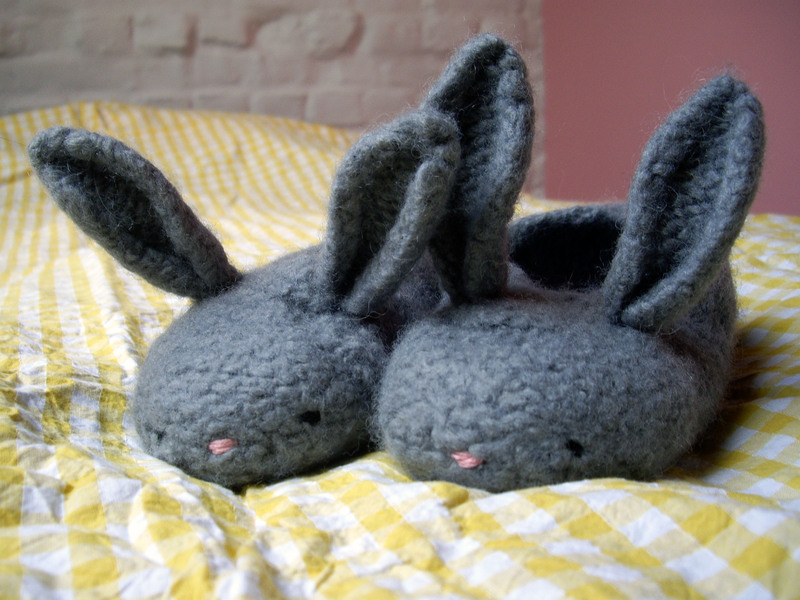 But I also follow evening classes to learn shoe making and millinery, and I knit. It’s so much easier to curl up in the couch and knit when you are tired than to get up and cut fabric and make a mess and so on to sew, especially when the weather is cold, so I’ve been knitting a lot more than sewing for the past months! But with both the weather getting warmer and my taking part in Me-Made-May, I’m motivated to sew again and I have a thousand sewing projects in mind! 7. What piece of advice would you give to a novice stitcher? It doesn’t have to be perfect, wear/use your creations with pride! Choose to sew things you’ll want to wear or use. 8. 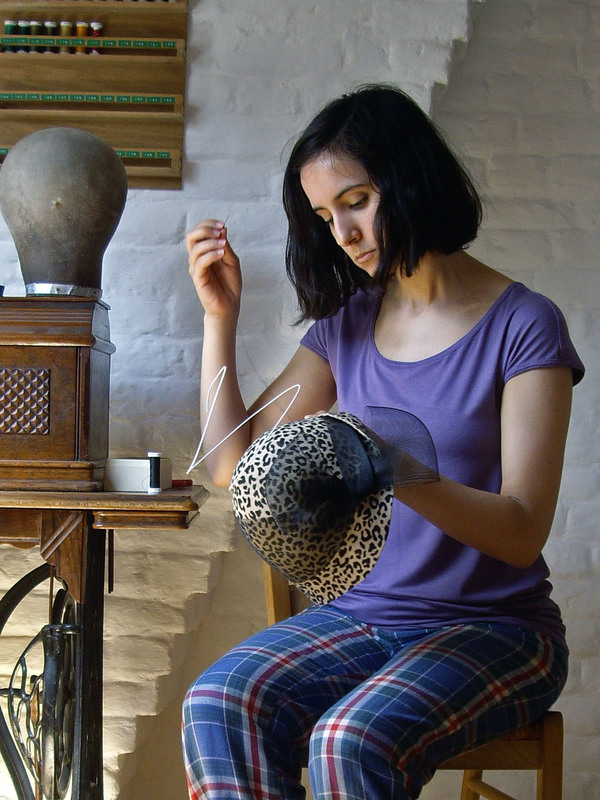 What sewing skill eludes you that you would like to perfect? Zippers! Especially by machine! I can take my time and sew one by hand and have it look quite nice, but the ones I sewed by machine were, ahem, not quite perfect! Oh, and I remember sewing an invisible one once that was, well, much too visible! So zippers in general, and invisible zips in particular. For fame and wealth of course! Just kidding! I blog because I love writing and I like the idea of keeping a photographed and written record of all my creative projects. I also wanted a chance to connect with like-minded people (and stop boring my acquaintances with constant babbling about sewing and knitting and hats and shoes and…). 10. Where do you look for inspiration? Most of my inspiration comes from the past: I love reading old fashion magazines and books, or books about vintage fashion, and watching old movies or movies about past times. Sewing blogs inspire me, too. 11. Tell me something about yourself that people would be surprised to know! I own twenty sewing machines! Well, six real ones and fourteen toy sewing machines! I’ve been living in a city my whole life, so I can’t really imagine what it would be like living in the countryside, but I think I would love the calm and fresh air! But I start my work at 8am, so I prefer living close to my workplace in order not to have to get up too early. 2. What’s your day job anyway? I’m a high school teacher. I teach English and Dutch. 3. What’s your biggest procrastination activity? Reading sewing and knitting blogs. How original of me. 4. Are you more of a homebody or always outside? I am the epitome of homebody. I think I could not go outside for days on end and not miss it! 5. What makes you dance with excitement or joy? 6. If during a meal you really had the choice and you could eat anything, what would you eat then? Tartiflette. I actually eat some just about every two weeks I think. Addicted much? 7. In a haberdashery/fabric store, where do you head first? 8. 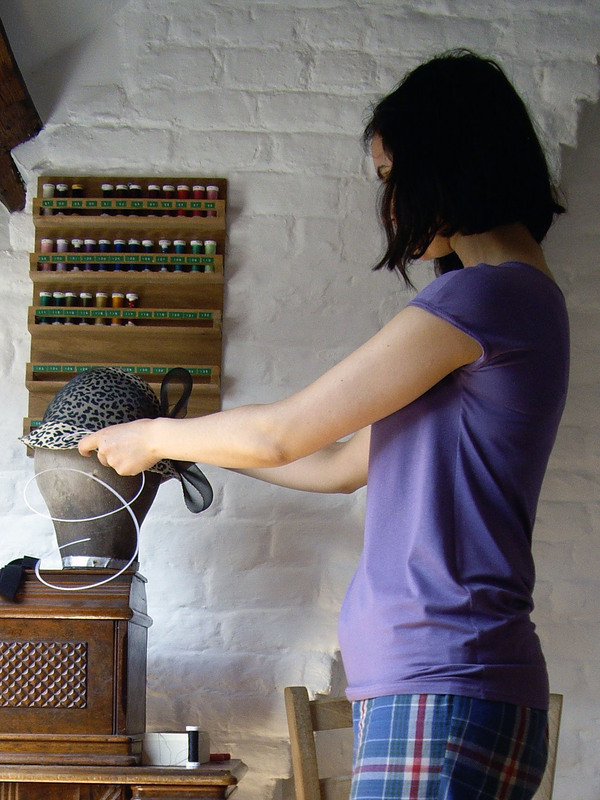 When you are sewing, do you do anything else at the same time? No, except listening to some music. I love rock and folk music from the sixties/seventies, and also Nouvelle Chanson. 10. Which food did you hate as a kid? 11. Which is your favourite sweet? Marzipan!!! I could eat it until I was sick. Anyone still here? 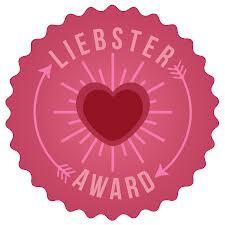 Ok, now I’m supposed to pass this award along to 11 blogs with less than 200 followers, but I really couldn’t find 11 that hadn’t received it yet, and I also can’t think of 11 new (and interesting) questions, so I’m going to slope off and forget about that part, sorry about that! Phew, this one was a little bit more difficult than the first two, but I made it through! Oh, and let me preface this by mentioning that, unless otherwise stated, I wore the same jacket and shawl as on Day 1 every single day. After getting heavily rained on twice in two days, no surprises there, I got a cold. I contemplated skipping Day 13, but then I remembered that my warmest scarf, the one I always reach for when I’m sick, was actually me-made! 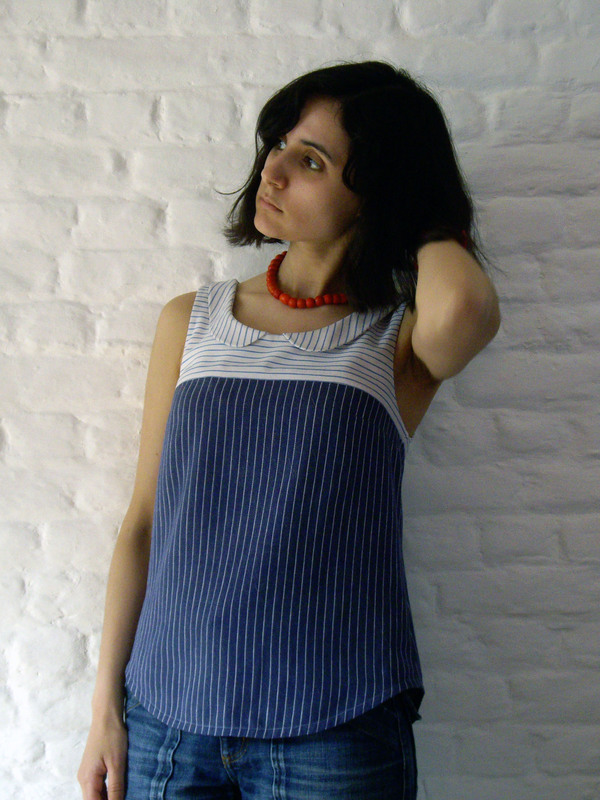 And while looking for it in my wardrobe, I stumbled upon this blouse I made. 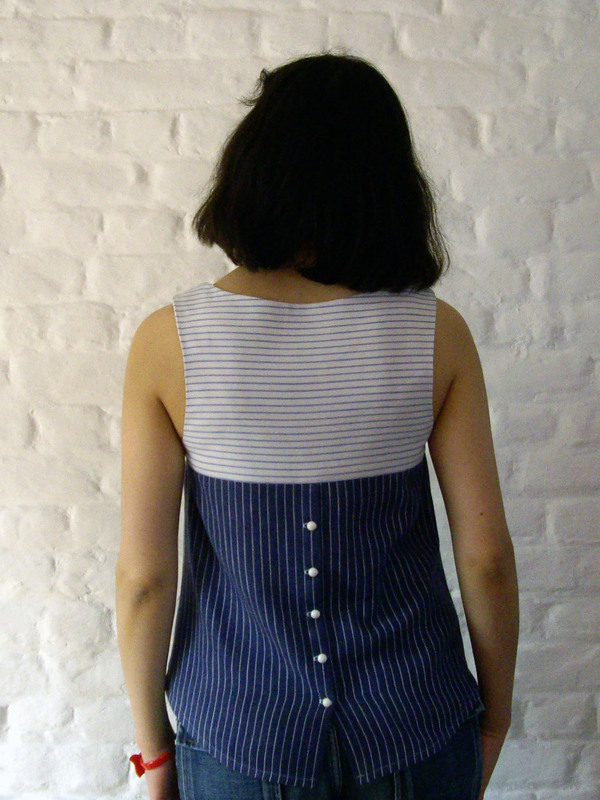 It was the first garment I ever sewed (the pattern comes from this Japanese book translated into French), so the fit and finishing are not very good but I can’t seem to part with it and I usually wear it every summer despite its flaws. I didn’t leave the house, so this was the only day of the week when I didn’t wear my me-made jacket and shawl. 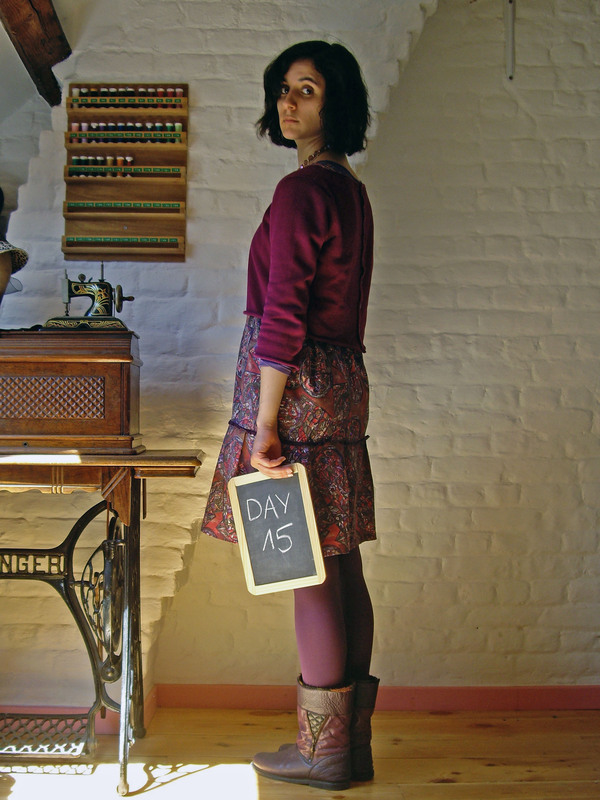 Day 14 was spent staying at home for the biggest part of the day, then going to shoe making class in the evening. I chose to wear this very comfortable dress I made about two years ago if I remember correctly. It’s not based on a pattern, but it’s a rub-off of a dress I loved from H&M whose fabric was becoming too see-through to my taste. I didn’t take the original dress apart, so I had the hardest time figuring out the exact placement of the darts, which ended up a little pointy from a certain angle. That’s when I got the idea to place a giant bow to hide said pointy darts, a bow that is now my favourite feature of this dress! 😀 The fabric is a tablecloth I bought at a yard-sale, and I don’t really get why, but many people have asked me whether it was African wax fabric. The dress is me-made; it’s the same as on Day 1. I styled it differently, with a button-back cropped sweater (the same as on Day 2 but in a different color), and I’m not sure I really like it (the outfit, not the sweater). It looks fine on the picture, but I feel like the front of the sweater is a little too short to look right on this dress. Looks like I needed comfort this week, so I pulled out this jersey dress again (see Day 8), but this time I wore more colours with it. Oh, and if I look a little bit dishevelled, that’s because I got rained on. Again. Yay, I love wearing something I made for the first time! And I feel like this skirt is going to be worn a LOT. 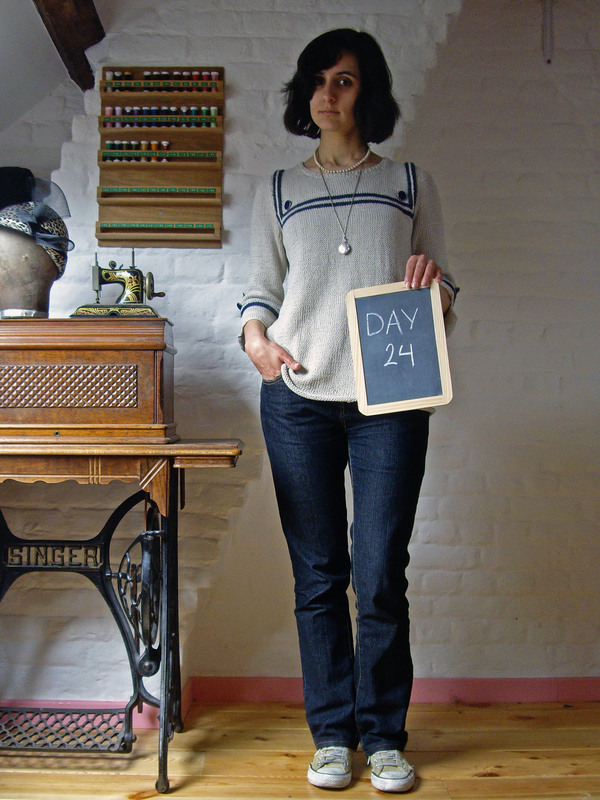 🙂 I picked this vintage blouse to wear with it to take finished project pictures the day before, and I liked the way they looked together so I decided to wear almost the same outfit on Day 17 (with a cardigan, and a white long-sleeved T-shirt underneath because it was freaking cold!). 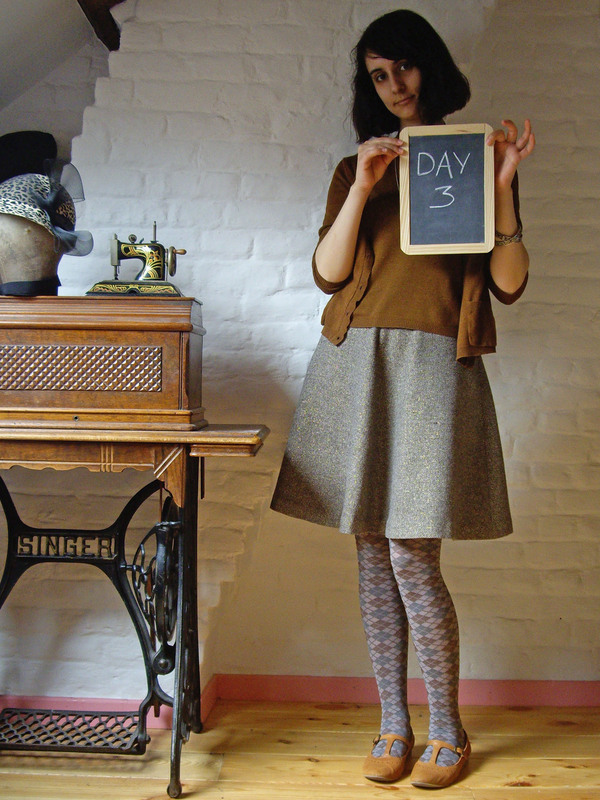 I’m wearing the same skirt as on Day 7, but with a simpler top and more comfortable shoes, and the me-made hat of the week! 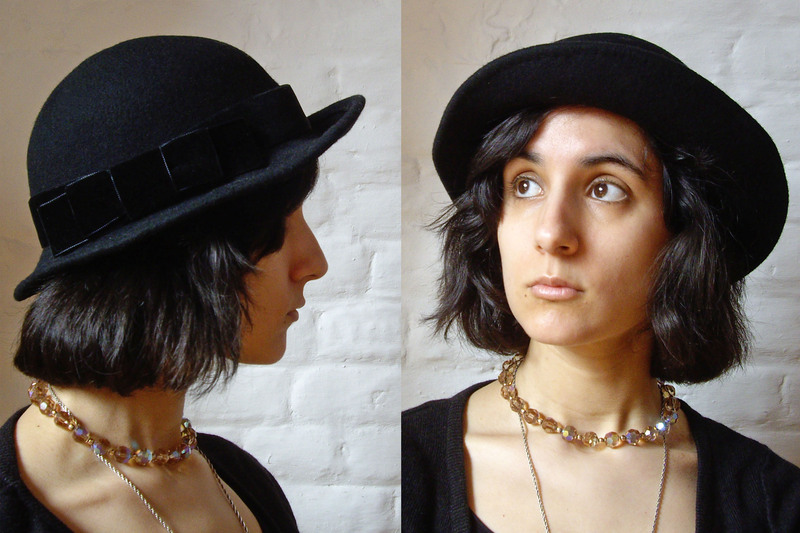 I love this hat, it’s quite simple yet its asymmetric brim keeps things interesting. 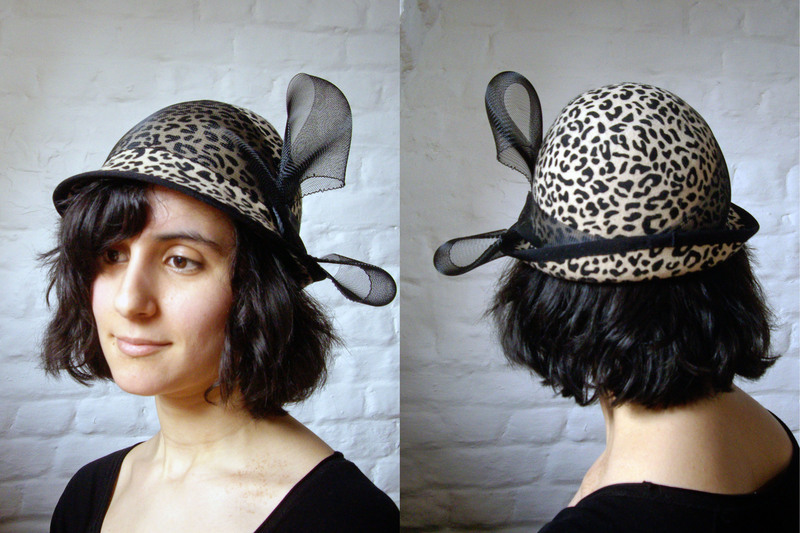 It’s a two-piece wool felt with millinery wire at the edge of the brim and a velvet ribbon and bow at the crown base. I told you this skirt would be worn a lot! I think it goes with everything. I kept things casual for this Sunday spent at home, then at my mother’s. The weather was warm enough to wear a T-shirt during the day, but in the evening I had to wear the same store-bought blue cardigan as on Day 6 (and Day 14). 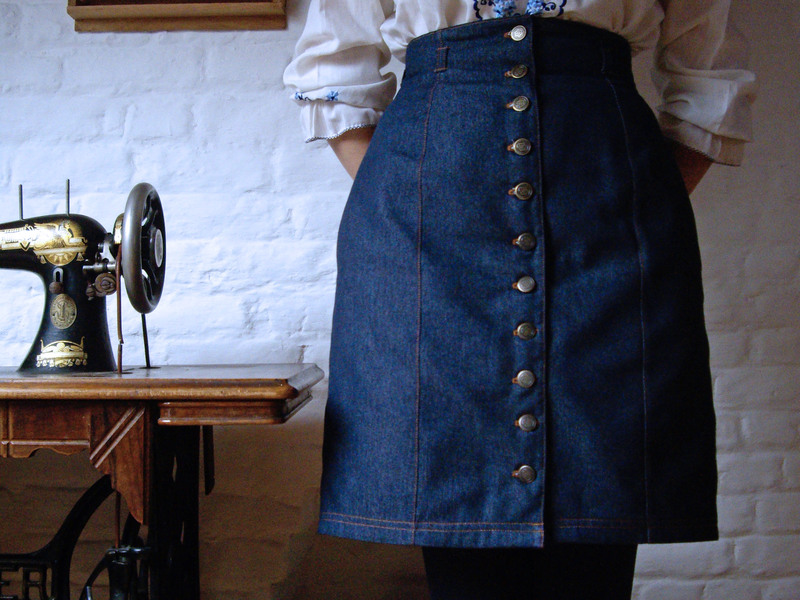 I had been meaning to sew myself a denim Beignet for years, thinking it would be a great basic skirt that would go with everything. Yet I pushed that project over and over to the bottom of the pile, always finding a new garment that seemed more appealing to sew. But lo and behold, Me-Made-May made me realise more concretely that my wardrobe was missing a few basics. Not that I don’t wear the less basic garments I sewed (or knit), I almost always do, but they would be so much easier to mix and match with simpler ones. This small piece of denim had been in my stash for years too, bought from the remnant bin of one of the local fabric stores. So no excuses not to sew that denim Beignet! Initially I was afraid the 0,80 meters I had wouldn’t be enough and I chose a contrast fabric for the facings, but in fact I had no problem getting all the pattern pieces on that very small piece, so no need for the contrast facing. As far as modifications go, I topstitched all of the outside seams (except for the side seams because of the pockets) with a very strong thread like the one you would find on jeans. I also couldn’t turn inside out tiny belt loops made from this quite thick denim, so I folded and topstitched those, too. Oh, and I had to go from a size 0 waist (first time in my whole life I’ve been a size 0 anything, thanks Colette Patterns!) to size 4 hips. I wouldn’t say the skirt was difficult to sew, but it wasn’t easy either: there were a lot of steps involved. But everything was explained very clearly in the booklet, so I didn’t encounter any major obstacle. Only the buttonholes made me really loose my temper: the machine I used had a hard time handling the thickness of the thread, so I had to redo some of them a couple of times (and some are still a little wonky). Oh, and I literally stabbed myself in the thumb with the embroidery scissors I used to slice them open, ouch! 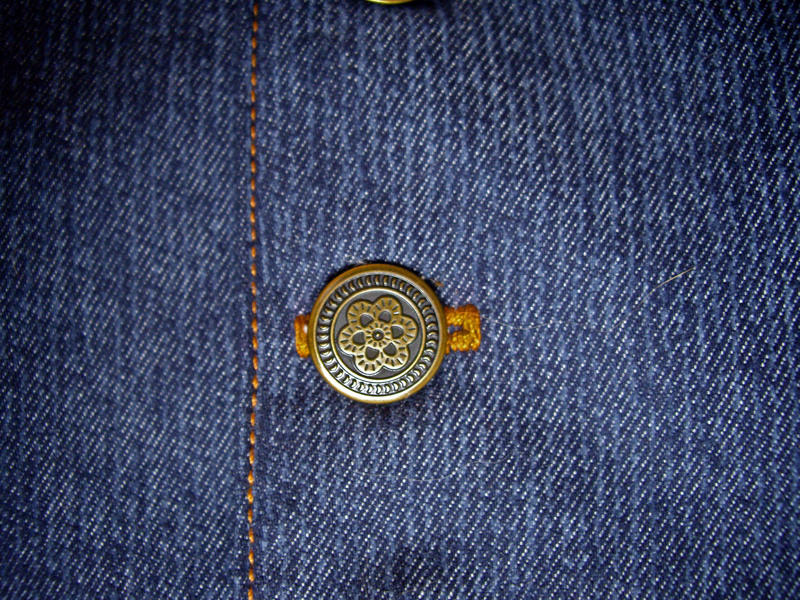 After that, putting in the buttons felt very liberating: I used jeans buttons, so I had to hammer them in place and I LOVED doing that (though I broke three of them in the process, but fortunately I had a few spare ones)! 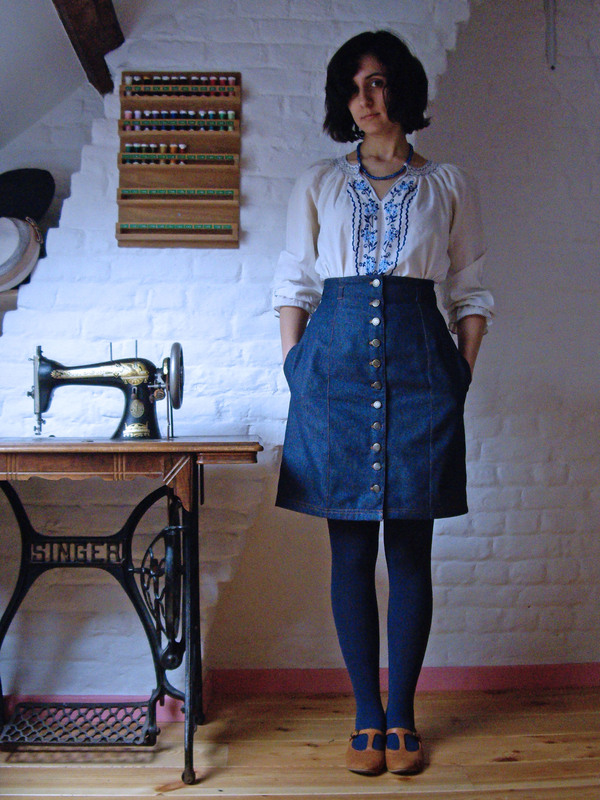 So, sewing this skirt was not a piece of cake, but the result is exactly what I had in mind (if you don’t look at the inside – or the buttonholes – from too close) and I already know I’ll be wearing it a lot in the future! Now off to find a thin brown leather belt! Two weeks down! And a whole one this time, yay! The dress is me-made. 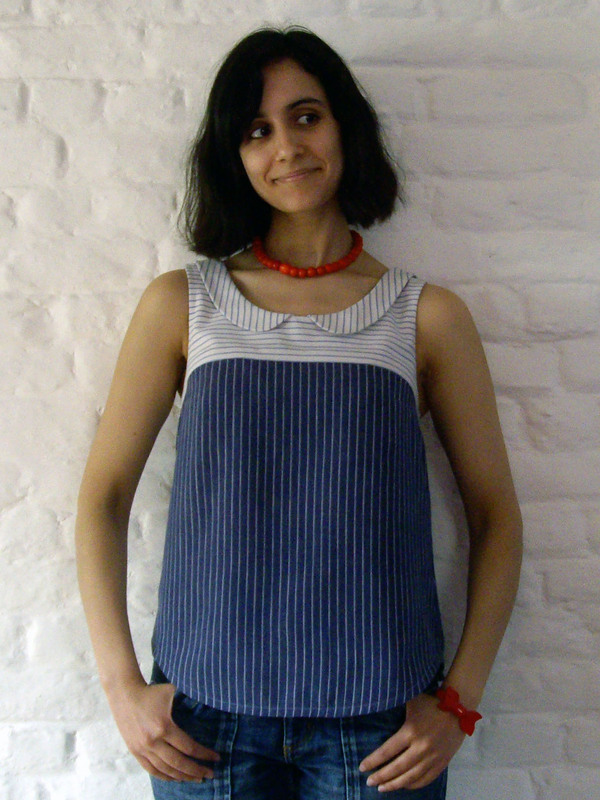 It’s Sewaholic’s Renfrew top, to which I added length and a (woven) peter pan collar. I also omitted the sleeve and hem cuffs. I wore this outfit to work then to millinery class in the evening. It was very comfortable, even to bike in (yay knits! 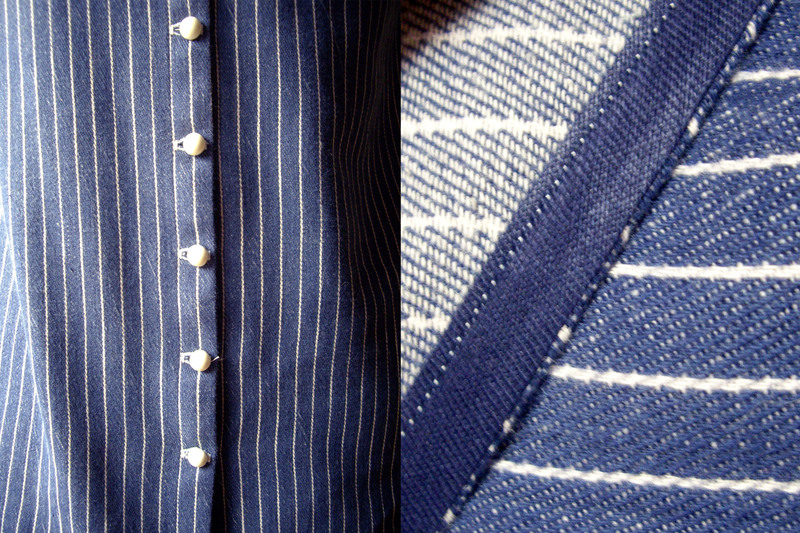 ), but I kept having to check whether the collar wasn’t being too wavy. I realised after taking off my cardigan because I was too hot after biking that it was the cardigan that stopped the collar from laying flat and that the dress actually looked way cuter on its own. 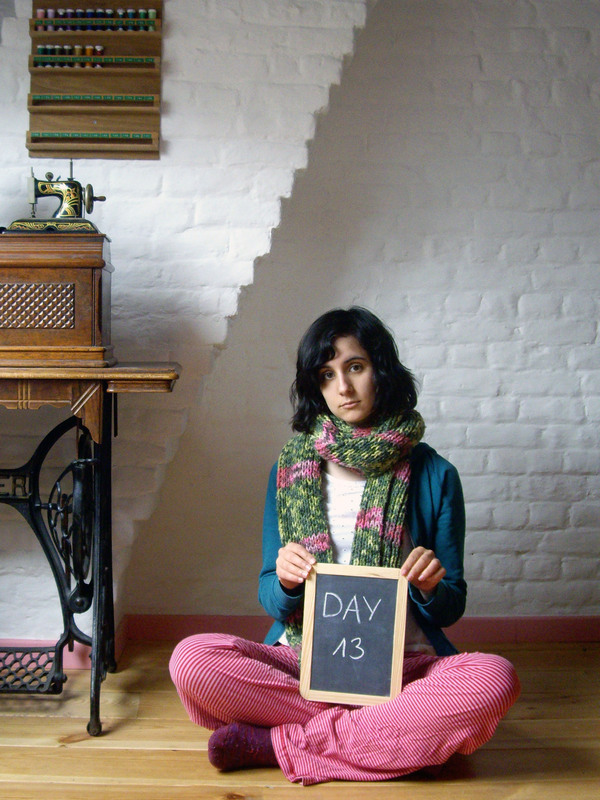 I also wore my Minoru jacket and the same shawl as every day of Week 1. Tuesdays are a day off for me, so I was able to wear a me-made short skirt. I also used the same bag as on Day 4, but no jacket or shawl because the weather was quite warm. I was quite overdressed and my shoes were not the most sensible ones because, though I had planned to go to my shoe making class in the evening, a sudden thunderstorm stopped me from going and I eventually only ran a couple of errands and did my laundry. My favourite outfit of the week! 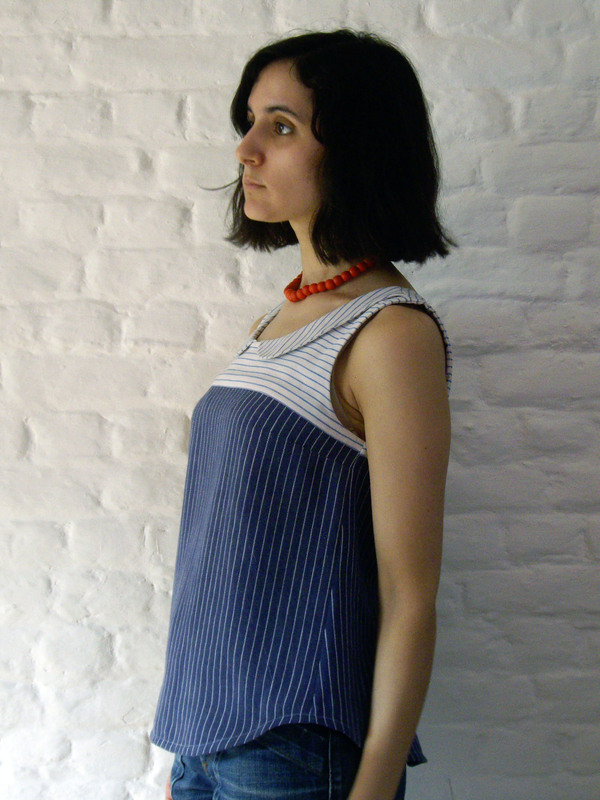 I made this dress years ago following a blouse pattern (from this French book) that was meant for wovens. I didn’t know anything about fabric choice at the time so I used a knit. The result was catastrophic at first, but (I don’t exactly remember how) I managed to not only salvage it but to make it into one of my favourite dresses. I also wore the same jacket and bag I can’t believe I’m still mentioning, but hey, no shawl this time! I wore this outfit minus the hat to go to work (you really can’t wear a hat on a bike, ask me how I know), then in the afternoon with the hat to go for a walk and run errands. 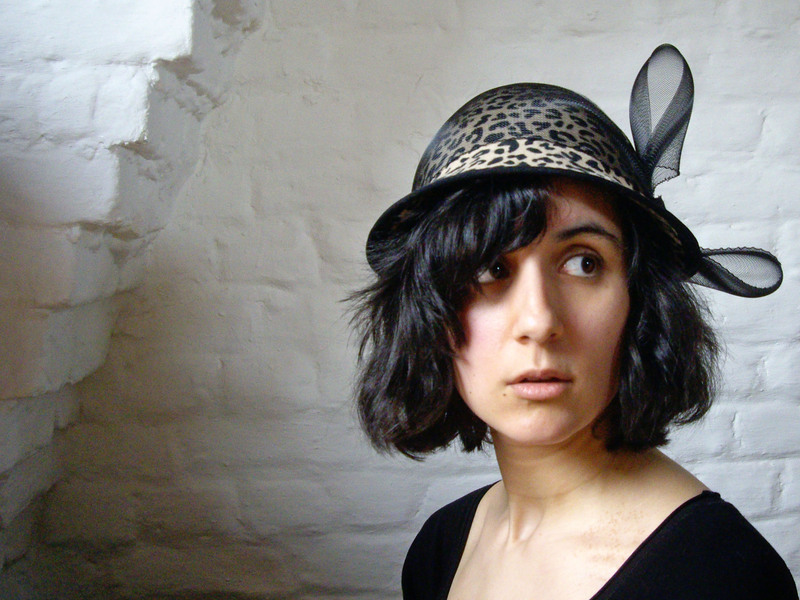 About the hat, I made it during a beginner’s two-day training in millinery a couple of years ago. 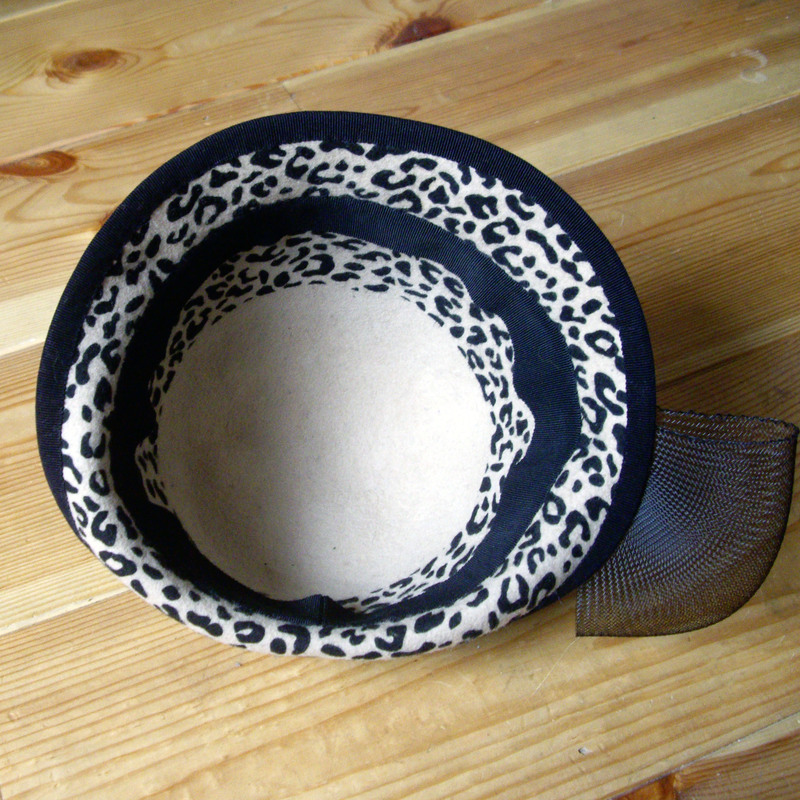 It’s a one-piece wool felt with hand-molded brim. May 9 is a holiday, so I got to stay at home the whole day! I wore my new T-shirt and it was very comfortable. The skirt is me-made. I sewed it a long time ago and I lost weight since, so it had become a little too big and I hadn’t been able to wear it the last few months. Me-Made-May finally gave me the push I needed to alter it so that I had one more wearable garment. I still like it, but I’m not used to unlined skirts anymore, so I didn’t find it as comfortable as my other skirts as it kept riding up a little, especially on my bike. It’s still very useful because it’s so simple it goes with practically everything. What’s funny though is that while wearing it I was convinced it was knee length and a little frumpy, but on the picture I see it is much shorter than that! 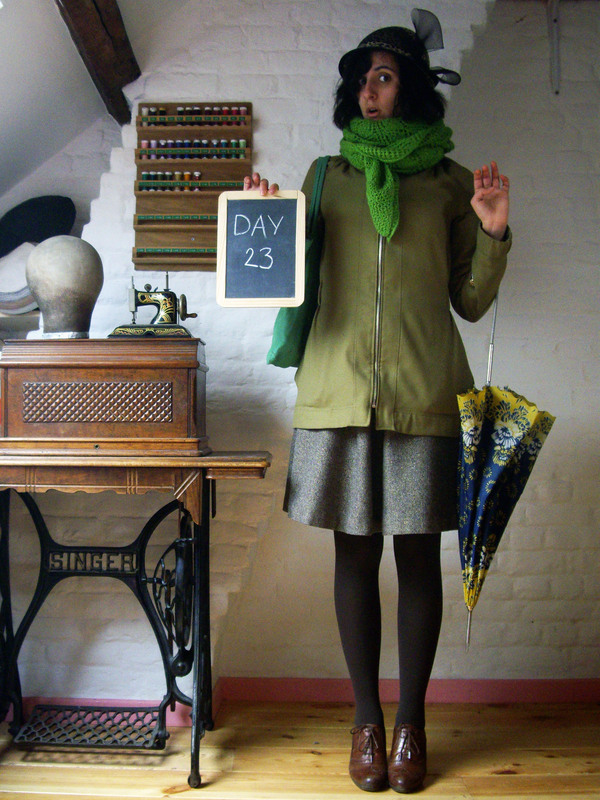 Other me-mades worn on Day 10: my trusty jacket and shawl. Oh, and I got a new haircut (not me-made)! It was Saturday, so I sewed at home, then I went for a bike ride (during which I got rained on), then a walk with my boyfriend. I wore this cardigan I knitted recently and a vintage handmade dress I love. These are two pieces I never would have thought to combine had it not been for Me-Made-May and I’m very happy with the result. The skirt and cardigan are me-made and I wore them at home, then to bike (under the rain again 😦 ) to my father’s for a family meal. I knitted this cardigan more than a year ago yet I had never worn it before that day. I find it very cute (look at that lace pattern! 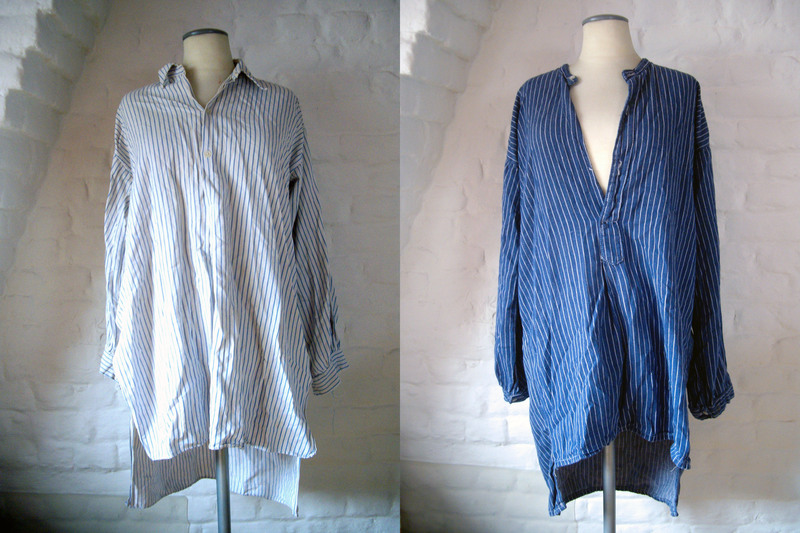 ), but a short-sleeved cardigan in wool is not really the best idea in the world! It’s too warm to be worn in Summer, and I thought a cutesy cardigan wouldn’t look very nice with long sleeves underneath so I couldn’t wear it in cold weather either. But Me-Made-May helped me bite the bullet and finally at least try it with a long-sleeved T-shirt underneath and, well, it doesn’t look that awful. It’s not as cute as without the tee, but at least now I can wear it, so I consider that a win! And it was actually very comfortable to wear on a cold (but not so cold) day like Day 12. Enough warmth on the body but not too much warmth on the arms. Do I need to mention I also wore the usual jacket and shawl? I didn’t think so. See you next Monday for Week 3 (and before that for other stuff 🙂 )! After less than a week of Me-Made-May had passed, although I hadn’t been struggling to find something to wear in the morning yet, I could already tell there’d be some instances that would prove more problematic: I knew that, when I would have the opportunity to spend a whole day at home, it would not be natural for me to get dressed in something other than sweats or pyjamas (I’m glam like that 😀 ). So I decided to sew myself something to wear at home! 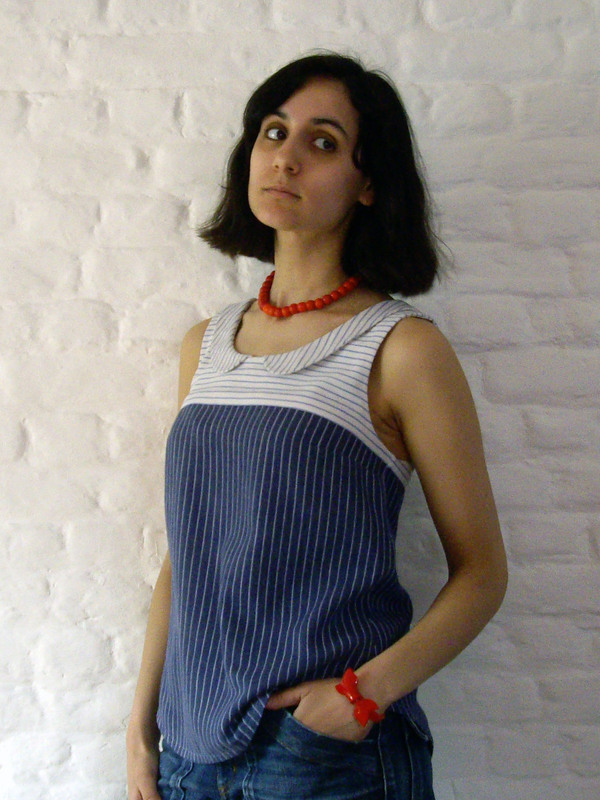 I had noticed a cute T-shirt in this Ottobre magazine I bought a couple of months ago and I had a small length of rayon jersey knit in my stash that seemed to be the perfect match. The pattern only has two pieces and it was quite easy to sew per se, but the fabric, oh, the fabric! It was a PAIN to cut and a PAIN to sew, let me tell you! It was so flowy and elastic I had to starch the hell out of it for it to even remotely cooperate! 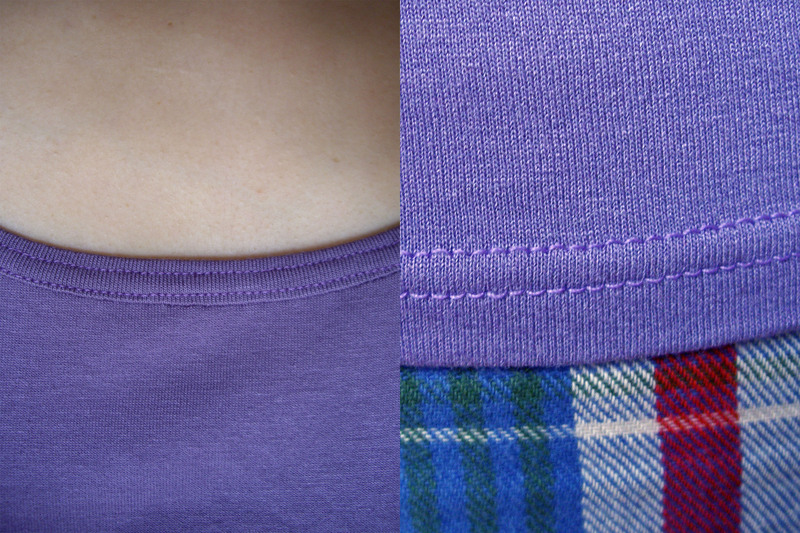 About the neckline, the only modification I made to the pattern is making it a little bit smaller, thanks to the pointers of someone who had sewn the T-shirt, unless you count substituting narrow ribbon for the recommended clear elastic to stabilise the shoulder seams as a modification (it’s always nicer to use what I have on hand). Despite the uncooperative fabric, I’m very happy with the end result. It’s nothing sensational of course, but it’s exactly what I needed: a basic tee I can wear at home that is also cute enough to be worn outside (its unusual cut means it drapes quite nicely against the hips). 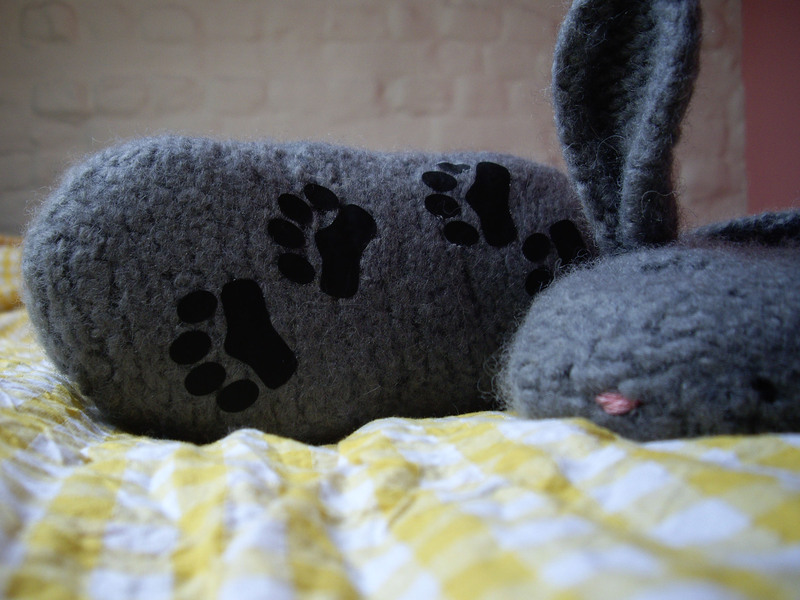 Me-Made-May ’13 – Week One! One (small) week down, four to go! Here’s the recap! 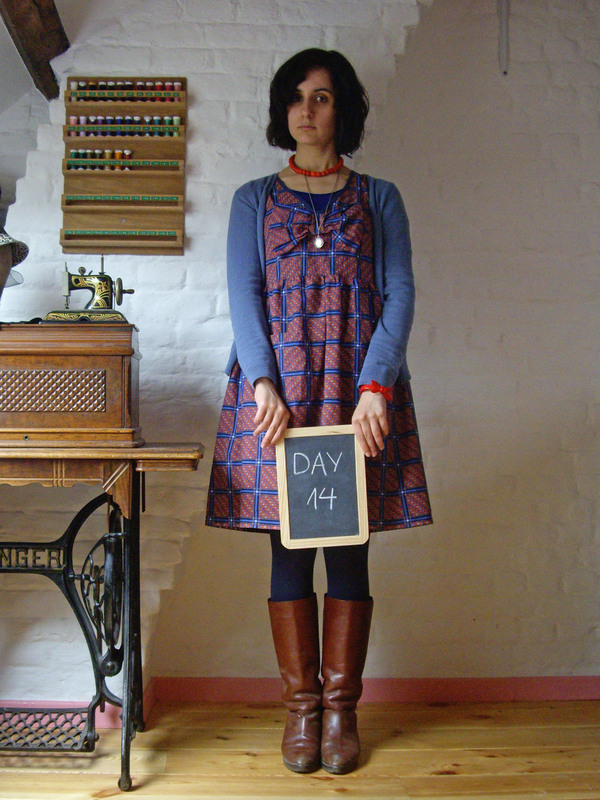 Me-made dress: I made this dress about four years ago, I think it must have been the fifth garment I ever sewed. It was a blouse pattern from this French book (the one that’s on the cover actually), to which I made a lot of modifications (some on purpose, some not so much). I love this dress, it’s one of the pieces I wear the most often. It’s so comfortable yet I find it flattering with its twenties look which I adore. The print too is quite nice with its stained glass scenes. To go out (to see Blancanieves), I also wore my me-made jacket and shawl (which I had to take off because it was too hot). The shawl is 100% acrylic, which I know is frowned upon by many knitters (myself included), but I must say I’m impressed by the quality of this yarn: it’s been machine-washed and tumble-dried about a thousand time and I’ve been wearing it every cold day for the past four years (that’s a lot of cold days here in Belgium), yet it hasn’t even begun to pill or anything. Plus it’s quite nice against the skin. And it cost €1 a ball: that’s about €6 for my favourite and most worn shawl! The pattern is North Roë Shawl by Odile Buatois-Brand, which I loved knitting (and it is free!). The last me-made thing I wore on that first day is my hat! 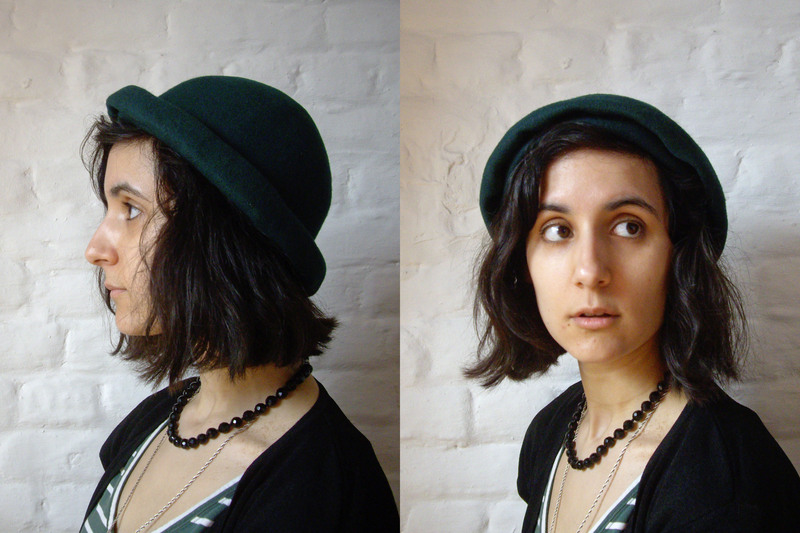 I pledged to wear at least one me-made hat a week and I thought this one would go quite nicely with the outfit. 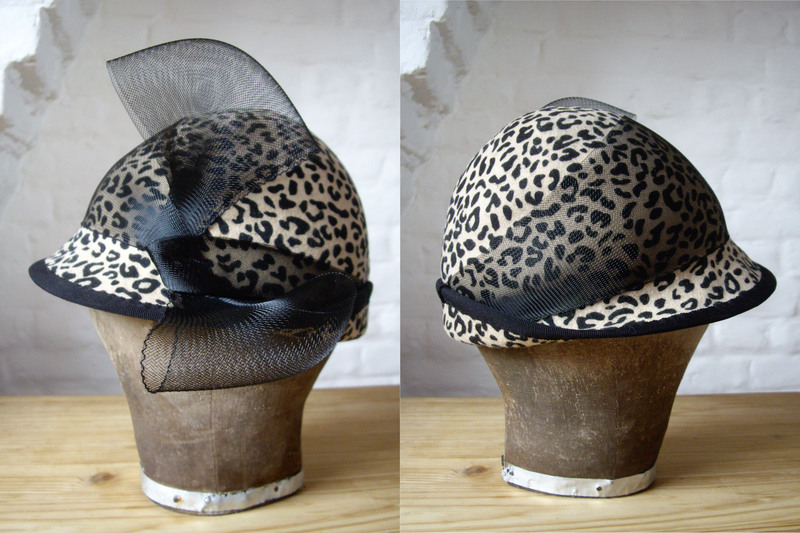 I made it at my millinery class and I must say I was thrilled with the result, it is exactly what I had in mind! 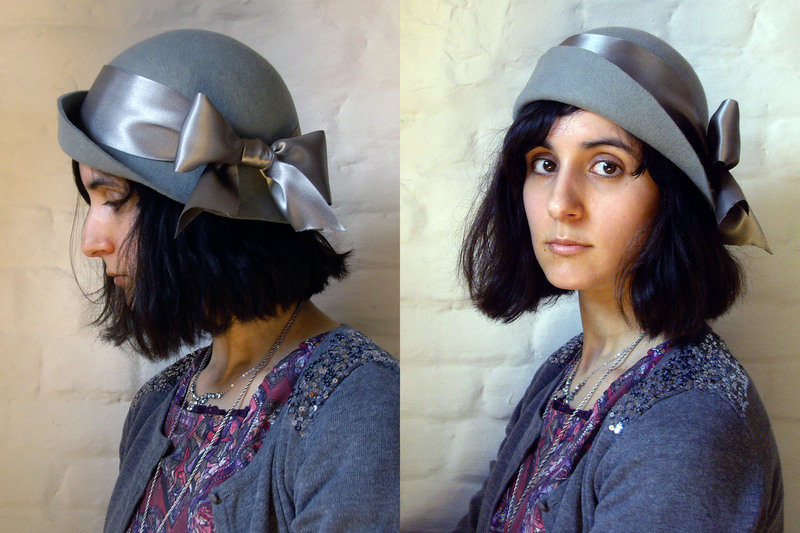 It’s a one-piece wool felt with a hand-molded brim and a satin bow. So as you can see I liked my Day 1 outfit very much, it was comfortable yet put together and it’s the kind of outfit I love to wear. The skirt is me-made. I wore this to go to work (with a bike commute). It’s an outfit I’ve been wearing a lot this year, it’s very comfy but still feminine. Come to think of it, this skirt is kind of my version of jeans. I’d love to wear more jeans (or any kind of pants), actually, but I don’t own a single well-fitting pair. I’ll have to remedy that. Ha, only two days in and already a hole in my wardrobe has been discovered! Also worn, not on the picture: the same jacket and shawl as on Day 1. Once again, the skirt is me-made. I paired it with a vintage Courrèges twinset my mother thrifted in the eighties. I liked the colors of this outfit and felt very comfortable biking and working, though I’m not sure it’s the most flattering silhouette. Also worn, not pictured: the same old jacket and shawl. I don’t work on Saturdays, so I chose to wear this me-made dress which would be much too short otherwise. It’s the first dress I ever made (the pattern is in this French book, the only change I made was shortening it) so it’s full of mistakes and the inside is horrendous, yet I still wear it with pride. 😀 Oh, and the fabric was found lying on the floor of the metro by my mother! Yes, my mother always makes the craziest finds! The bag is also me-made and is actually the first thing I ever sewed by machine (four years ago I think)! The bag itself was made following a pattern, but I can’t believe little beginner me went and stitched her own appliqué from scratch without any explanations or help whatsoever, ah, youth! Just as with the dress, the bag is imperfect as can be but I still use it very often. I wore this outfit (and my me-made jacket) to go to the local fabric store and haberdashery, then to spend the rest of the day sewing at home. The dress is comfortable BUT there is no lining, so it has a tendency to ride up when I walk, especially with the wind facing me, which was the case on that day. Seeing as it is already very short, I really should avoid wearing it when I know I’ll have to walk a lot! 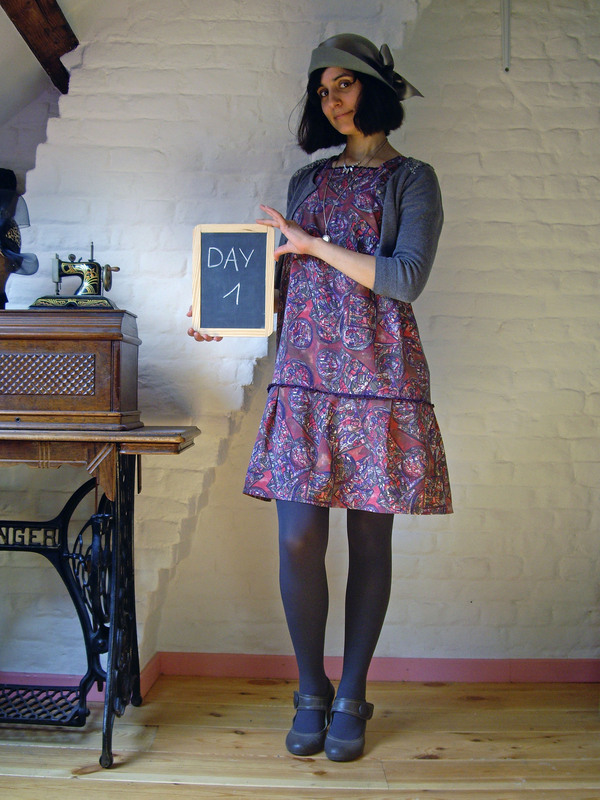 Me-made dress, the second one I ever made (from this Burda pattern – I shortened the sleeves). I must say I chose to wear it because I knew I wouldn’t have to leave the house but to go to my mother’s, who happens to be my neighbour! It’s not really my style anymore, and it’s also short and flouncy, which doesn’t make me feel covered enough! Plus it’s not very flattering (makes me look pregnant from the side). So, although I was very proud of my newly-acquired technique at the time and still like the yoke and the buttons very much, I think I’ll have to donate it or reuse the fabric or something. Week Two, here I come!